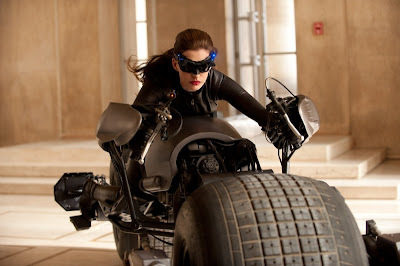 The costume is fairly subtle and understated compared to the previous versions we've seen in the films. 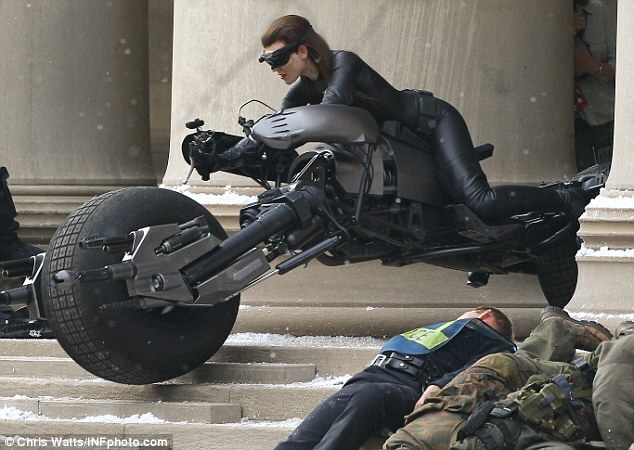 This isn't really unexpected considering Nolan's realistic take on the Batman universe. 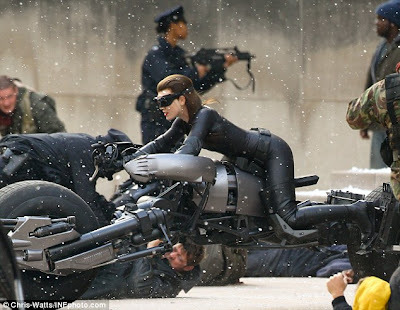 However is it possibly too subtle, it isn't obvious it's Catwoman in terms of linking back to the comic book look (say how the Joker or Two-Face looked in The Dark Knight). The picture is also potentially a spoiler, as she's riding the Bat-Pod and the mask looks very similar to the tech Batman used at the end of The Dark Knight. 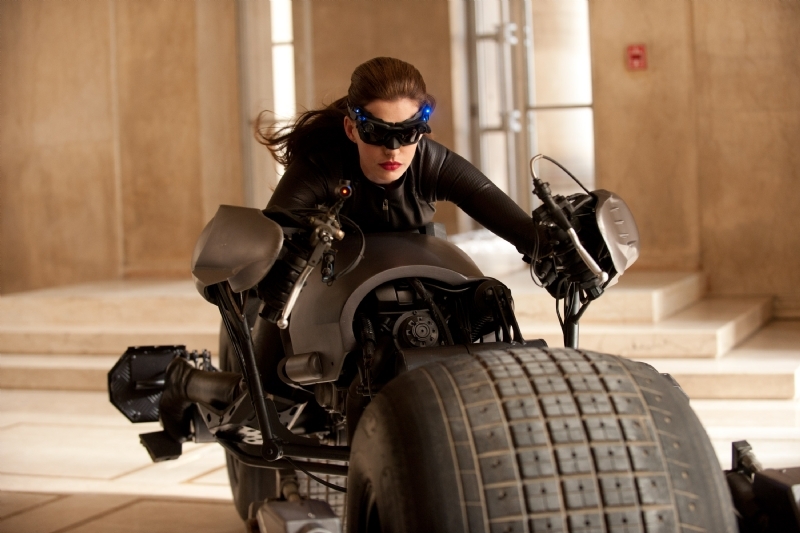 So I don't think it's much of a stretch to suggest Catwoman is actually a goody in The Dark Knight Rises.